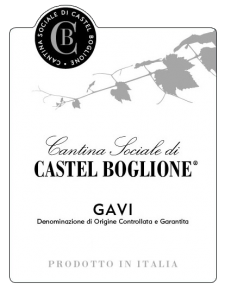 Gavi is made with 100% Cortese grapes grown in southern Piedmont around the town of Gavi. Due to its approachable flavors, Gavi is often credited as responsible for introducing the world to Italian white wine. Green apple and grapefruit flavors are well balanced with light herbal and grassy aromas. A medium-bodied white wine with crispy acidity and pleasantly dry on the finish. Serve well chilled as an aperitif or along seafood and shellfish dishes. Gavi is considered Piedmont’s white jewel in the crown and Italy’s first white wine to gain international repute. Made exclusively from the Cortese grape, a variety which has a heritage dating back to the 1600s. It gained DOCG status in 1998 and its vineyards are mainly found in the hills of 13 communes in the province of Alessandria.